A series of ‘climate hubs’ are to be created in some of the UK’s major cities bringing together research and best practice to tackle the decarbonisation issue. The Government’s £3.5m initiative, the Place-based Climate Action Network (P-CAN), will cover work in Edinburgh, Belfast, Leeds and some projects in London. 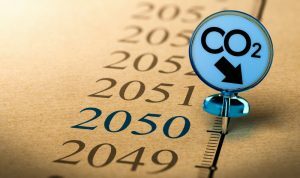 The Department for Business, Energy and Industrial Strategy (BEIS), has said a group of ‘city climate commissions’ will be created with the nominated cities acting as research centres for low-carbon technologies and climate mitigation and adaptation measures, sharing best practice with each other and creating local-level solutions that can be scaled up or replicated elsewhere in the country. The main emphasis will be on innovative energy technologies which could help decarbonise heat and transport. P-CAN, is aimed primarily at helping cities play their part in the UK’s efforts to meet the targets of the Paris Agreement. Launching the scheme, Energy Minister Claire Perry said: “This new £3.5m research network that has been set up to enable cities and towns to build much needed local action on climate change, by building their capacities for action, developing investable projects and accessing finance. The scheme will run for five years, during which the Economic and Social Research Council (ESRC) will invest £3.5m in research initiatives and collaborative schemes across London, Edinburgh, Leeds and Belfast. To access funding, research teams will have to prove their work would ensure that the energy transition is “just”, meaning that all regions, economic groups and social demographics can access and benefit from the shift. The announcement follows the publication of research by Imperial College London, which found that the UK’s current green policy frameworks could create a “two-tier” economy, concluding that regions such as the North of England and East Midlands are not receiving the financial and social benefits of the low carbon transition in the way that London and the South East are. Meanwhile research from the Institute for Public Policy Research (IPPR) has found that energy businesses in the North of England will need to retrain up to 28,000 oil, gas and coal workers if the UK is to meet the aims of the Fifth Carbon Budget. * In 2015, world leaders agreed to 17 goals for a better world by 2030. https://www.globalgoals.org/ These goals have the power to end poverty, fight inequality and stop climate change. Guided by the goals, it is now up to all of us, governments, businesses, civil society and the general public to work together to build a better future for everyone. Syntegra’s work is underpinned by many of the goals. Goal 13 states: Take urgent action to combat climate change and its impacts. Climate change is a real and undeniable threat to our entire civilisation. The effects are already visible and will be catastrophic unless we act now. Through education, innovation and adherence to our climate commitments, we can make the necessary changes to protect the planet. These changes also provide huge opportunities to modernize our infrastructure which will create new jobs and promote greater prosperity across the globe.